It's difficult to pinpoint what kind of music it is, because fighting music can range from upbeat (like in classic video games) to dramatic (like in super hero movies). It's just any music that fits the mood of the fight that it's accompanying, so I'd probably have to see the scripts of the episodes and get a sense of what the fight is like/about before I could confidently tell you what kind of music we need for that scene. Yeah, I completely get that @Jane_Gogglerubble. I can see what you mean. I may try to put something together - possibly. I'm not sure I answered your question, but I hope that my reply helped. Feel free to post any music that you composed that you think would fit in the animation, whether for a fight scene or otherwise. Alright, great! I'll see what I can do. Does anyone have a knack for drawing hands that would like to help me out? I need drawings of hands in various positions (resting, palm facing up, clenched, etc.) that I can use for the animation of the characters. They don’t need to be super realistic or detailed, they just need to be outlined in black with no color or accessories added. Preferably digital drawings against a transparent background in PNG format so that I can cleanly copy and paste it. Any help is much appreciated! 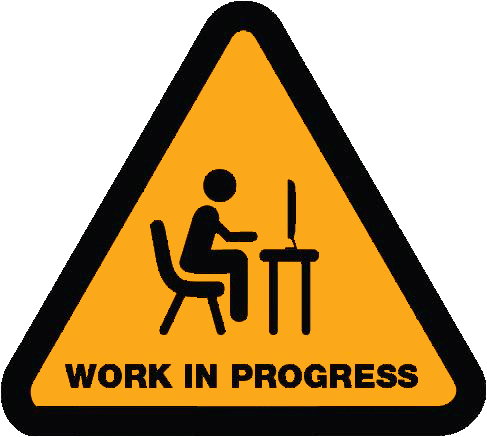 More jobs will also be posted in the future, so be sure to keep an eye out. Thanks! @Jane_Gogglerubble I can try What positions do you need? What positions do you need? @Ilayne_Merespark These’ll be hard to describe, so please bear with me as I try to explain them. I need one pair of hands that are relaxed and to the side, as if you are looking at a person from their side as they casually walk; and a pair of hands that are a little clenched like when you hook your thumb in your pants pockets. A bonus would be a pair of hands with fingers that are spread out a bit so as to gesture when they talk, but it’s not as important as the first two. @Jane_Gogglerubble Awesome!! I'll get working on those tomorrow if I have time. Is this series going to be used for promotional or commercial reasons, @Gloria_Oldenpinner? We are NOT planning on making any money on this, nor in the future. It’s main purpose is not to promote anything per say, but for the entertainment of others as we have fun making it. With that said though, Aetherlight is very much ingrained in the story, so we would definitely let people know about it, whether that’s including a link to the website in the description or mentioning it in the about page of the channel. Hope that helps answer the question. @Jane_Gogglerubble Here's one!! Will it work? I can always do it over. I had a question on the other two: for the clenched hands, do you want the thumb ACTUALLY in a pocket, or were you meaning just a normal hand with the fingers clenched? And for the third one, do you want it from the side view as well? Yes! It can just be cut off by a line, though, instead of an actual pocket, and I’ll know where the pocket would go. for the third one, do you want it from the side view as well? That one can face palm-forward, or even to the side a little (whichever looks most natural). @Jane_Gogglerubble Is this what you mean? I accidently used the wrong width I did on my brush for the second hand... I can redo that But is that what you meant? @Ilayne_Merespark Yes! I’m also using this resting hand for three more characters who are also walking from the side like Jacoby (Iliara, Hanna, & Ariella). I can use this for all three, but if you’d like to do slightly different variants, then that would be great too—that’s up to you. Either way I really appreciate it! You could also look up hand references. I need volunteers who will color the outlined animation frames as I finish them. For example, I have Jacoby's character's walk cycle finished, but I still need to outline another 4 walk cycles of other characters. 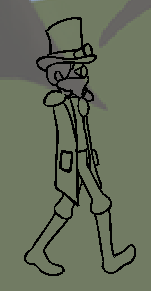 If someone could help color the frames of Jacoby's walk cycle while I work on outlining the next character, and then someone color that character will I outline another character, and so on, it would be extremely helpful! I have the model sheets of each character, front and back, that can act as color guides that I will post with the frames in Dawn of Aethasia (Reference Topic). --Each walk cycle currently has 8 frames, so if you enjoy coloring, this might be the job for you! --The coloring will have to be done digitally, but the software does not matter as long as it has these features: a color dropper (like MS Paint) so that the colors can best match those on the model sheets; and/or a layers feature (like FireAlpaca) so that you can use separate layers to best color within the black lines (which can be difficult with imported images like these). Thanks so much for taking the time to read this post! You can vote in the poll below to volunteer. I'd like to help color! I- I would volunteer to help... but that’s basically making a promise to be available to do stuff in a certain time-frame and I’m just so horrible at keeping promises so I try to avoid making them. I want to help but I don’t want to let anyone down, and I’m afraid that I would if I volunteered to help. So I don’t volunteer to help which sometimes seems rude when I could help but I don’t and so I’m letting people down anyhow and I don’t know what to do, because should I say I’ll help but then I might not help or should I never help and just be that person who nobody likes or what. This is an unnecessarily long post. @May_Otterview You are a really thoughtful person I’m the same about promises, but you don’t have to promise anything to be able to volunteer and the coloring doesn’t have to be done within a certain time frame. And you wouldn’t let anyone down, even if you don’t or can’t volunteer! We would love to have you join us if you’d like, but there’s absolutely no pressure! And know for a fact that we like you for you!